Merry Christmas from Lester's Farm Chalet! 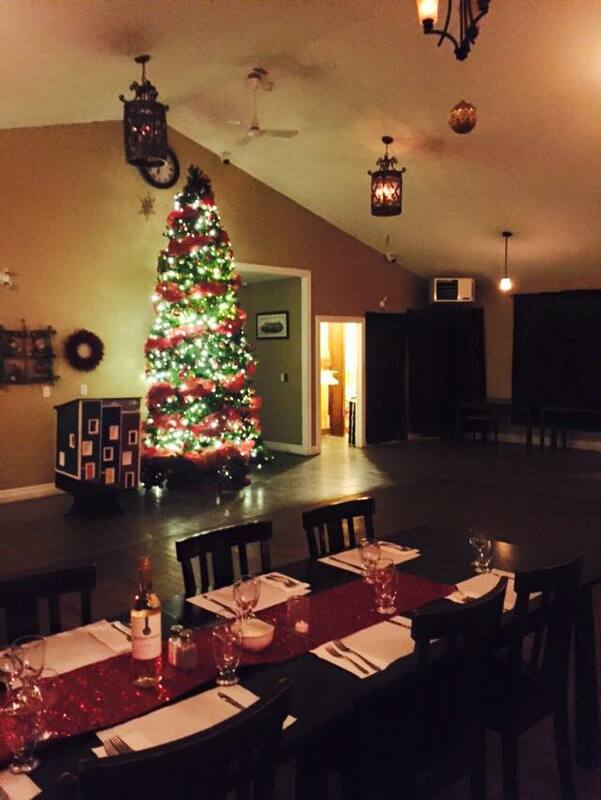 This holiday season, enjoy an evening party with family, friends and collegues at Lester's Farm Chalet! Take in the stunning country atmosphere, enjoy a glass of wine with a delicious cooked meal, and embrace the spirit of Christmas with the ones who matter most. See meal options and pricing below. If you would like to create your own meal selection we would be happy to accomadate any requests or dietary concerns. Drink Tickets ($5.25 Each): Redeemable for Highballs, Shots, Beer, Coolers, Wine, or Draft. Bottles of Wine on the Tables ($29 Per Bottle): Jackson Triggs Merlot or Pinot Grigio. Open Bar: Set Time Limit or Set Dollar Amount. Note: To confirm the reservation, we require a deposit of $500. This is payable via credit card. We will be in contact prior to processing the card to confirm availability.